Gmail App Now Has Two New Features That Will Save Your Time And Provide You Instant Settings. You Can Now Quickly Update Your Profile Photo Of Gmail/Google Account Profile Right From Gmail App Android. Gmail App Gets A New My Account Shortcut Where You Can Edit Profile Name, Change Phone Number, Password Or Control Your Google Profile. Changes In Gmail Settings Will Effect Across All Google Products. 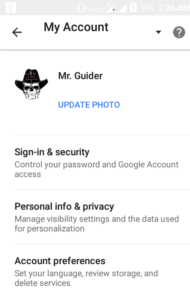 For Example- If You Update Your Profile Photo From Gmail App, Then The Same Photo WIll Be Applied To Google Play Store, YouTube Or In All Google Products. 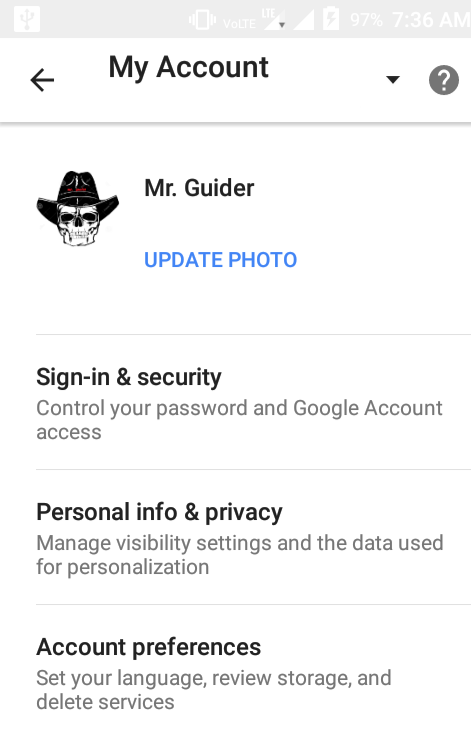 To Update Your Gmail Profile Photo Or Edit Profile Settings-Go To Your Gmail App. Then Go To Settings. Under Settings, Click On Your Gmail Address. You Can Use These Option To Change Name, Phone Number, Check Account Infor And More. Another Update Which Is Added Is Of New Swipe To Delete/Archive Interference. When You Swipe Right From Left To An Email Message, You’ll See Undo Option At Bottom To Undo Action You Done. By Default, It Is Of Archive. 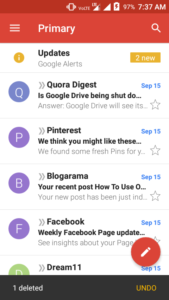 When You Swipe To An Email Message, It Will Archive Or Hide From Front Gmail Page. But You Can Change This Action From Archive To Delete In Settings. That’s It. 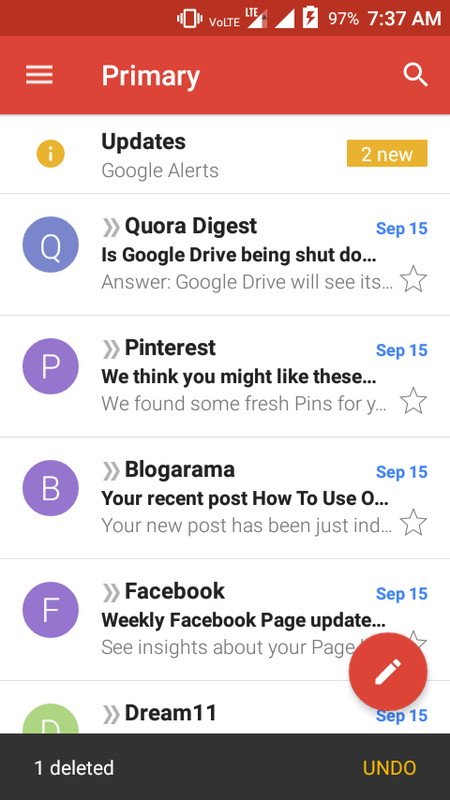 When You Swipe An Email Message In Your Gmail App, It Will Delete And Move To Trash. You Can Also Undo This Delete Action By Clicking On Undo Message That Appears When Action Done. However, Gmail App For Android Still Has Not Undo Send Feature That Lets You Undo Sent Email.